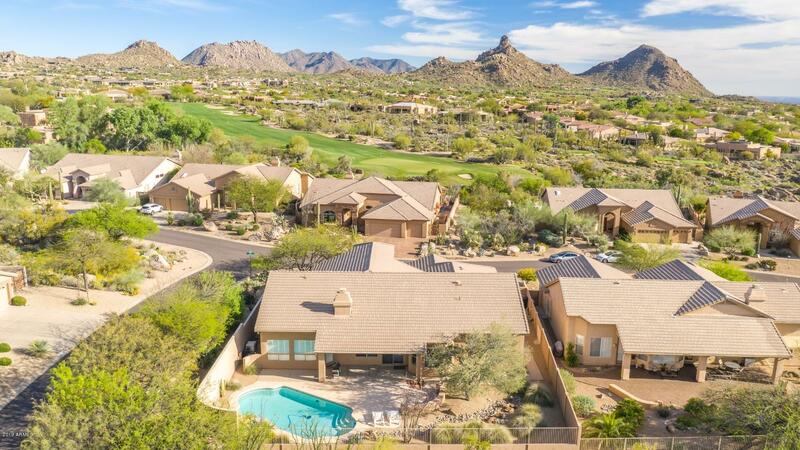 All PARCEL D1 AT TROON NORTH homes currently listed for sale in Scottsdale as of 04/25/2019 are shown below. You can change the search criteria at any time by pressing the 'Change Search' button below. 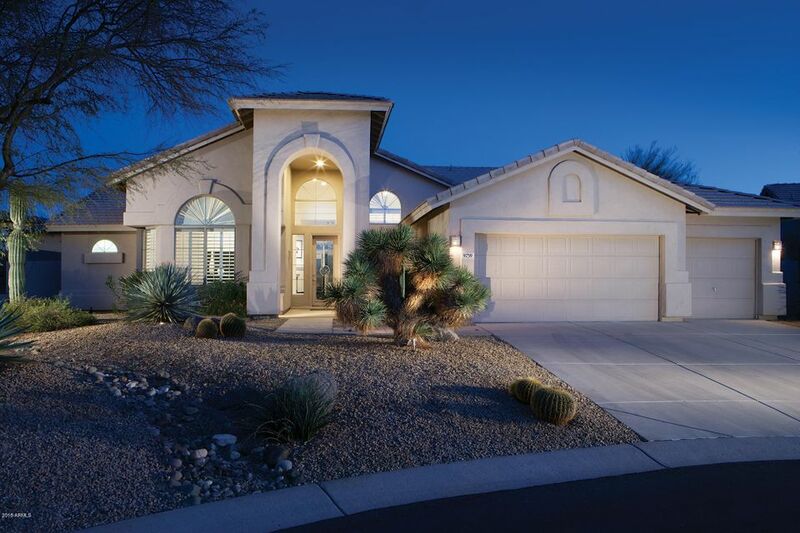 "Gorgeous Home in Desirable Troon North; Endless Mountain Views; Corner Lot; Orig. Owner; Meticulously Maintained & Immaculate Condition; Private Backyard w/Heated Pool & Rock Waterfall; Backs to Natural Desert Wash; Split Floor Plan; Vaulted Ceilings; Lux Porcelain Tiles & Granite Slab Counter Tops; Beautiful Plantation Shutters; Massive Master Bedroom; 4 Bedrooms plus large Den w/beautiful double doors; Whole home is wired for Surround Sound; Wood Burning Fireplace; Alarm System; Updated Ashley"
"This stunning single level home has been completely remodeled in a highly desirable contemporary motif. It resides on a quiet cul-de-sac with mountain views. The kitchen is adorned in white lacquered cabinets that are a stunning contrast to absolute black granite counters and backsplash. The gourmet kitchen is equipped with stainless steal double ovens, microwave, warming drawer, dishwasher and a French door refrigerator. High ceilings throughout including a vaulted ceiling in the Great room wit"